Summer is almost upon us, and you will no doubt be considering where to go. Now, you could go for the usual tourist spots, but let’s be honest, they can get a bit boring and predictable. You could also visit a place to bolster your education and knowledge about the world we live in, especially if you’re a history buff, but for some, that may be too much reality. Because in this article, we are considering those people who are looking for something a little more fantastical; something magical that will transport you away from the doldrums of life into more enchanted realms. Looking for a fairytale holiday? Consider the following places. Book yourself a stay in the country’s capital at the Courtyard Munich City Center and head out on day-trips to some of the best places Germany has to offer. In nearby Bavaria, you should visit what have become known as Mad Ludwig’s Fantasy Castles, so-called because they look like something straight out of a Walt-Disney animation. 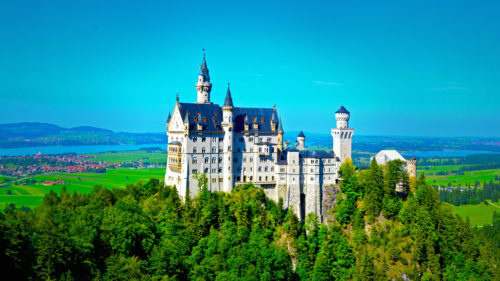 In fact, the breathtaking Neuschwanstein Castle in Bavaria inspired the Royal castle in Sleeping Beauty. Located at the foot of the Alps and backed with snow-capped mountains, this is a place of beauty that will transport you to another world. Not only that, but Germany is a fantasy-buffs dream anyway, with its many picturesque towns showcasing incredible color and architecture that looks like something from a picture book. And you thought Hobbiton was a fictional place? Shame on you. Okay, so it isn’t actually a place you would find on the map, but as many places in New Zealand were location-based for the Lord of the Rings and Hobbit movies, it’s only right that a hobbit-sized village should be constructed for the fans of Tolkien’s classic novels. Make like a giant and visit this colorful locale, and tour the homes of Bilbo Baggins and his hobbit neighbors. You can even have a pint of ale at the Green Dragon, regaling your fellowship (holiday companions) with tales of derring-do and dragon slaying. A fairytale wouldn’t be complete without a walk through an enchanted forest, but let’s be honest, they are quite difficult to find in the real world, no matter how many fairy lights you hang from the branches to create atmosphere. Until you get to the Crooked Forest. 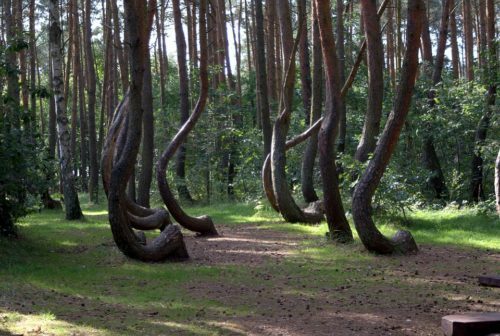 Perhaps we should have used the word spooky instead of enchanted, as the 400 pine trees curve and twist in shapes you wouldn’t have thought possible. You can almost imagine poor Snow White walking through here on a dark night, with only the moon to guide her way as she tries to stay out of the clutches of the evil Queen. So, if you are easily spooked, visit this peculiar spot in the daytime! We have probably just sent a chill up the spines of Game of Thrones fans. While we still have a long wait for the final series in the fantasy saga, you can still visit one of the many locations around the globe where this epic series was filmed. While you are spoilt for choice – from Iceland to Malta- there is none more iconic setting than the capital city of King’s Landing, which was filmed in Dubrovnik, Croatia. The site of the Iron Throne, you can take one of the many tours while humming the tv show’s theme tune as you go. * Game of Thrones reference for those of you who are non-fantasy buffs. The crook forest really look fairy tale.